Montreal has collected 12 million cubic metres already — the amount usually collected over an entire winter season. 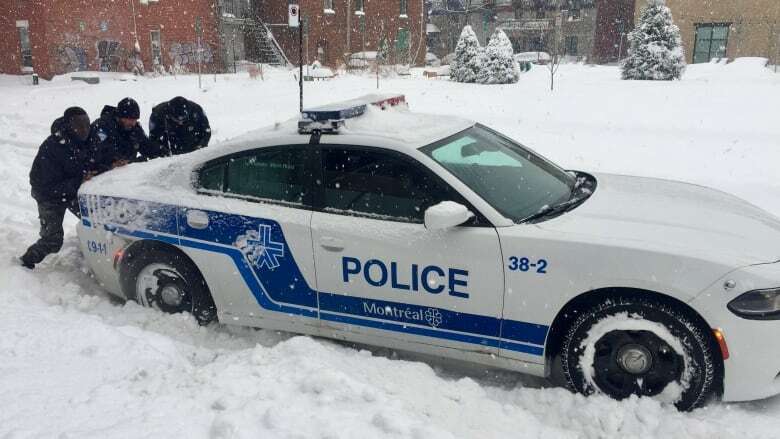 Montreal, for the second year in a row, will have to draw from its reserves to complete its snow removal operations this winter. Coun. Benoît Dorais, chair of the executive committee, said the city has collected 12 million cubic metres already — the amount usually collected over an entire winter season. "It is quite exceptional," he told reporters during a Wednesday press conference. Last season, the city was $20 million over its $160 million snow-clearing budget by mid-March. By that point, the city removed 16 million cubic metres of snow. Coun. Lionel Perez, leader of the official opposition, was quick to criticize Montreal Mayor Valérie Plante​'s administration for not having planned sufficient funds for snow removal. "They were asked during the budget process why they did not ask for the budget and they refused to answer us," he told Radio-Canada. "It shows how the administration is in total denial of reality." Perez went on to say the Plante administration is not doing enough to properly de-ice the sidewalks. "They do not understand how dangerous it is. Elders, people with reduced mobility, they have been prisoners of their homes for almost two weeks," he said. "It's inhumane."